Pace of change: how far, how fast? Pressures for change abound in the association landscape – technology, social innovation, business models, and relationships with members are all in flux. But how do we approach change within our own organizations? Can you really make the case for change – is the platform really burning? (Ablaze, or slowly smoldering?) Does everyone know about the issue? How do you know if big fast change is the right way to go – or not? Is there a slower, more conservative alternative – or will choosing that option create other problems? Can you bring the right people on board? If you can’t do that, can you work around them? Do you need new people – or alliances? What are the risks of change? Can you minimize any of them? What will you do if they come true? Is there a Plan B? What support will you need, and where will you get it? If you’d like to talk more about this, please consider attending the Engaging Associations Forum in Ottawa, July 23-24. Click here for information and registration. There will be a panel discussion on this very topic – the panelists are Mary Ann Rangam, the Executive Director of the Ontario Professional Planners Institute, and Alison Dantas, the CEO of the Canadian Chiropractic Association, and I’ll be moderating. And if you’d like to talk about how we can help you with your own strategic change efforts, please get in touch. 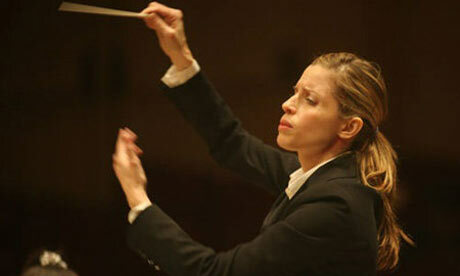 Photo of Tara Simoncic conducting. Photograph: The Patriot-News, Public domain.